I have no food in this house. I’m standing in front of the open refrigerator and I don’t have the slightest idea what to make for dinner. There is nothing to eat! I hate to cook. I don’t know how to cook. I don’t want to cook. I worked all day and I’m exhausted. If I cook, I’ll have a huge mess to clean up. The last place I want to go right now is the supermarket. My kids are whining at me because they are hungry. I’m totally overwhelmed. I’m so uninspired. I don’t have time to be healthy. Cooking is just too hard. It’s too much to deal with. Maybe I’ll just order a pizza. . . .
Stop right there, Skinnygirl! Calm down, breathe, and think this through. You do have food in the house, even if you don’t immediately see a pre-made meal as you stare into the refrigerator. You don’t have to fear, hate, or dread cooking. And you don’t have to call the pizza guy. In my first book, Naturally Thin, I showed you how to stop the food noise and begin listening to your food voice. In this book, I’ll show you how to stop the cooking noise and listen to your inner chef. Cooking can be stressful if you make it stressful, but it doesn’t have to be. Instead, you can learn to feed yourself well without stressing yourself out. I don’t have time to cook, either. I come home exhausted, too. Sometimes I do order a pizza, but I’ll make it special. I’ll order the whole-wheat crust (when that’s an option) and make a big fresh Greek salad to go with it. Then I let myself really enjoy it. Most of the time, however, I make something. I wouldn’t call it cooking as much as it is putting together things I already have in my refrigerator and my pantry. Get creative and the delicious results won’t break the bank or make you feel as if you overate. You have time to be healthy because it doesn’t take very much time at all. That’s the gist of this book: an end to the anxiety about what and how to eat when you have to cook for yourself and your family. 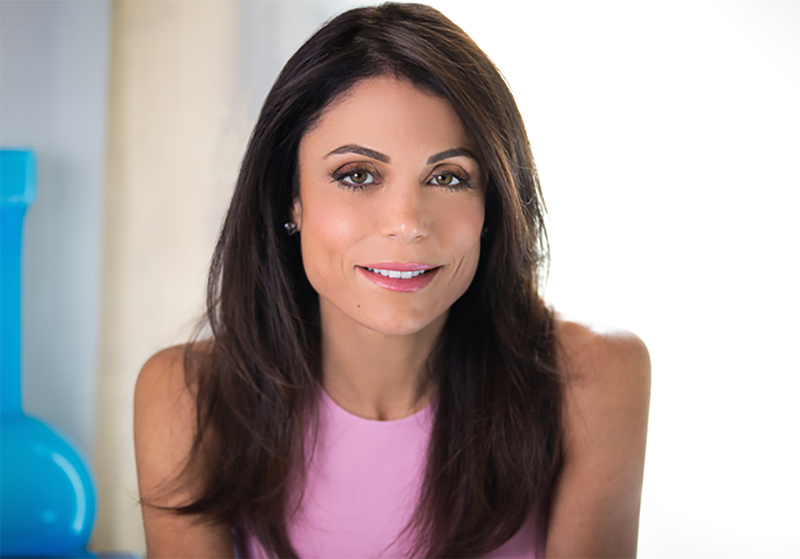 In Naturally Thin, I shared ten rules for unleashing your inner Skinnygirl and freeing yourself from a lifetime of dieting. As the New York Times best-seller list describes it, the book contains “rules and recipes for escaping the diet trap.” That’s exactly how I see it. Dieting is a trap, and it had me caught for many years. The point of that book was to set you free with new ideas for how to manage the food in your life. If you’ve already read my previous book, you have the tools to be in control no matter how hazardous the situation may be, how stressful or inconvenient your schedule is, how hormonal you are, or how unusual your lifestyle might be. You can handle any pizza moment because you’ve been building a healthier relationship with food and you are well on your way to being naturally thin for life. But the question remains: When you are tired, cranky, bored, uninspired, and just plain hungry, what are you going to eat? Naturally Thin brought you here. Now, The Skinnygirl Dish is the next step on your Skinnygirl journey. I know from the many letters and e-mails I receive every day that a lot of you are still working on getting back in touch with your own hunger. I want to help you keep moving in the right direction, toward a realistic idea of what it means to eat like a naturally thin person. In this book, I’ll walk you through my kitchen, my cooking philosophy, and the way I put a meal together. I promise you, none of it will be intimidating, difficult, time-consuming, or expensive. I just don’t cook that way. Instead, I’ve tweaked my favorite comfort foods to make them more in tune with my Skinnygirl lifestyle, and I’ll share those secrets with you. Most important, I’ll show you how to cook—not just how to follow a recipe—so that you can stay inspired to steer clear of heavy habits and embrace thin thoughts every day. The heart of this book is a new set of tools to teach you how to answer the question: “What am I going to eat?” No, I’m not going to tell you what to eat. If you read Naturally Thin, you know that’s not what I do. What I will tell you is how to make something you will like in a way that works with your individual lifestyle. I want to give you the tools to cook fearlessly for yourself, taking risks, being creative, thinking for yourself, and never stressing out again about how to make dinner. Food is important. Food is pleasure, comfort, community. Food is delicious. It’s also one of the most powerful tools you have for building a healthy body and a calm mind. Food can make you strong or weak, energized or depleted, skinny or fat. What you eat can affect your hair, your skin, and your mood. It all depends on your choices. As the old saying goes, you are what you eat. You learned all that in Naturally Thin. For better or for worse, life isn’t cookie-cutter. We plan and God laughs, as they say. You and I will continue to make mistakes occasionally—bad investments, regret, food noise, emotionality regarding food. I still wish I exercised a little more, drank a little less. We’re all human. I don’t pretend to be some perfect person with all the answers who is going to transform you into somebody you aren’t. Yet you and I are getting there and feeling freer than ever. Like yoga or anything else challenging, being naturally thin is a practice. You will never be perfect because nobody is perfect, but you are on the path and you are focused. I often give people this bit of business advice: You don’t have to know exactly where you are going, as long as you are moving forward. The Skinnygirl Dish will help you move forward. Throughout this book, I’ll occasionally remind you of the ten secrets from Naturally Thin, but I’ll include new rules I’ve learned since I wrote that book, as well as some ideas that didn’t quite fit into that book’s structure or that I thought would be too much information all at once. I will also walk you through some of the things I make for myself, telling you how and why I chose to create those meals. There will be no intimidation in my kitchen, I swear to you! You will not find duck à l’orange or coq au vin or chateaubriand in this book because, frankly, those are not foods that I or any of my friends ever want to cook or eat at home. When you want some crazy foam mousse or shellacked salmon or beet puree, go visit an expensive fancy restaurant on your anniversary. You won’t find those dishes here. I wouldn’t even know how to start making them. I am a natural foods chef. I went to a culinary school that specialized in food and healing with health as a priority, and I certainly can cook delicious food. However, I am not French trained. Bobby Flay would put me to shame with his knife skills and technical experience. Jean-Georges won’t be calling me to give him cooking lessons anytime soon, and my plates don’t look like pieces of art, even though I like to make them look attractive. I specialize in figuring out how to make comfort food healthy. I’m talking about chicken pot pie and mashed sweet potatoes, baked ziti and red velvet cupcakes, and banana bread. I play around in my kitchen, taking all of my best friends’ favorite foods that they are afraid to eat because they are too fattening and finding a way to make them good investments. Making low-fat guacamole and spinach artichoke dip that only tastes decadent is what I love. These are the foods that people crave, eat, then feel guilty about eating, but I think everybody should be able to enjoy the foods they love without guilt. Cooking should be accessible, tasty, healthy, and quick. That’s why this book is neither a cookbook nor a diet plan. It takes the best parts of both of those kinds of books and puts them together. Every single recipe in this book came from this situation: I was home. I was hungry. I looked in my kitchen to see what I had, and I made something out of it. I never once went to the store and bought every single ingredient for a recipe I wanted to make. This book is about using what you have and making it healthful and delicious. 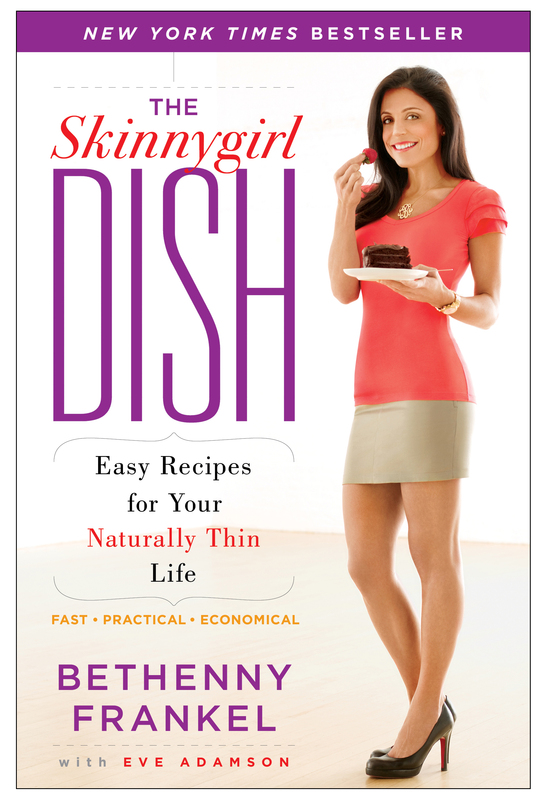 It will teach you how to cook the Skinnygirl way, built on a methodology you can trust. I don’t care who you are or how bad a cook you think you are. If you can read, this book can teach you how to cook for yourself. In Naturally Thin, I compared your diet to your bank account. In The Skinnygirl Dish, I want to work from a new metaphor: Food is like your wardrobe. You all know what it’s like to stand in front of your closet with the door hanging open and wonder why you have a closetful of clothes and nothing to wear, or why you hate everything you have and can’t possibly wear any of it. Maybe you don’t even get that far. Maybe you know what it’s like to come home after a long day, lie down on the couch, and just dread getting up again and trying to figure out what to wear for an evening out. Dinner can feel like a comparable situation as you stand in front of your refrigerator and think that you have absolutely nothing you can possibly eat or make or even begin to imagine you could pull out of there for dinner. Maybe you’re lying on that same couch after work, thinking there is just no way you can get up and cook dinner. This book is here to end all that. My friends tell me that I should have a TV show called What’s in Your Kitchen because I can go into anybody’s kitchen when they say they have nothing to eat and find enough to make a delicious meal. I could probably do the same thing peeking into someone’s closet and find them something to wear, but that’s a different book. In this book, I’m going to show you how to work that magic in your kitchen. To continue my clothing analogy, you need to know what classics to have on hand—the culinary versions of the black turtleneck, the crisp white shirt, the perfect jeans, the blazer, and the simple black dress. Then you need to venture out and be daring. Right now, as I write this, I’m wearing a pair of fuchsia patent leather pumps. An equivalent might be to dress up a simple bowl of brown rice with fresh herbs, or to bring a simple container of baby greens alive with dried cranberries or cherries and toasted sunflower seeds or almonds. It might mean you marinate a chicken breast or pork loin in a gourmet vinegar and some exotic herb. Accessorize your grains with things like olive oil, garlic, fresh herbs, pesto, sun-dried tomatoes, or pine nuts. Accessorize your protein basics with mustard, soy sauce, spices, and flavorful oils. Greens get dressed up with full-flavor grated cheese, nuts, dried fruits, and dressings. You’ll find more complete lists in Chapter 2, but you get the idea. This is how you make cooking exciting without making it complicated. Sometimes you take risks and sometimes you play it safe, but even when you wear the black turtleneck and the jeans, you can add flair by raiding your costume jewelry box or your makeup drawer or by putting on a really great watch. That’s what I do when I get dressed and, equivalently, when I make food for myself at home. It’s easy if you know how to put things together. That’s what this book will show you. If you were to ask me, “What are you going to eat?” this book would contain my answer. Like me, you will still dine out, go on vacation, go to sporting events, and face the occasional vending machine, minimart, or conference table full of doughnuts. When you do, you’ll use the Naturally Thin tools to make smart investments. With this book, you can add more to your Skinnygirl arsenal so that you can confidently fill in the blanks when you are lucky enough to eat at home. Every time I give you a recipe, I will provide variations and creative suggestions so that you can turn my ideas into years of options based on your own personal needs and desires. You can surprise your family night after night with simple changes and fresh variations. Variety is the new spice of your life, because with my recipes, you will always have choices. That’s another important part of this book: choice. This book is about my choices, but only for the purpose of assisting you with making your own choices. If I say I ate a steak salad, I don’t want you blindly to run out and buy all the ingredients to make that exact steak salad. Instead, because you happen to have salmon left over from dinner last night, make a salmon salad. If you made chicken or ordered it in a restaurant, then a chicken salad version might be for you. It’s your meal and your life, not mine. I want to see you get creative, even a little bit outside of your comfort zone. Think about what restaurants do to the foods they serve you. Consider the presentation and the interesting combinations of flavors. You can do that at home. Those creative ideas aren’t just for restaurants. I’ll help you. Just consider me your personal idea girl. That brings me to the final reason for writing this book. I’m a pretty thrifty person and I hate to waste anything. I also try to live in an environmentally conscious way. Those concepts come into play specifically in this book as I talk about one of the primary ways I decide what to make for a meal: using what I already have. Do you buy a new bag, lipstick, and dress every time you go out? Of course you don’t. You look in your closet and you find what works. You can make it fresh and new without spending a dime by getting creative, and the same goes for food. If I have a take-out container of leftover steak and buttered baby peas, I’m not going to go out and buy a pork loin or chicken breast or a long list of exotic spices to make some recipe I saw in a magazine. I’m going to think about what I can do with that leftover steak and those peas. This is why I constantly rip out recipes from magazines and then never use them. Maybe I’ll stir-fry my leftovers with a little soy sauce and serve over rice with spices I already have in my cabinet. A chilled pea soup with half of a grilled steak and cheese sandwich on sourdough bread might be good, or maybe I’ll put them both over fresh greens for a big salad with shredded carrots from my refrigerator and that last tomato. I might pick up a lemon or two for a fresh vinaigrette, but the gist of the meal comes from what’s already in my kitchen. It’s thriftier, and it’s less wasteful, too. I hardly ever throw away food, and why should you? My goal for this book is to reenvision an old expression: I don’t want to give you a fish. I want to teach you to fish. If I give you a fish, that’s like giving you a diet, or a recipe. If I teach you to fish, I give you strategies for eating, or cooking, on your own. You learn to think for yourself so that you can handle any crisis, any situation, anything that comes your way. You’ll know what to do, naturally. Learning how to cook the Skinnygirl way means letting go a little and becoming open to inspiration and your own creative impulses. You start with recipes, but you don’t let them imprison you. Use the knowledge in this book to learn how to “fish” and you’ll be able to turn whatever you have in your refrigerator into a great meal that will keep your body slim and healthy and your discerning palate satisfied. Confidence is key in this process. The more you learn about how to make good-investment food that tastes great, the easier it gets. You aren’t going to start out making osso buco on the first day. Start simple. Or just stay simple. This is a simple book about simple, delicious comfort food and how to cook it well. It may seem impossible to you right now, but the ultimate goal of this book is to set you free from the pages of a cookbook. Remember in high school when you would study and study for a test and then suddenly you just knew the information? Or think about learning to ride a bike or to swim. It’s a struggle at first, but once you get it, you really get it. It becomes part of who you are, integrated into your consciousness. You just know how to do it. This is what can happen to you with cooking. I think that recipes are a bit like kindergarten. You learn some basics, but then you eventually grow out of them and go out on your own. When you know how to cook, you won’t need a recipe anymore. This book does contain recipes, though, surrounded by stories about what I was doing when I decided to make the things I made. I’ll show you how I did it, but I don’t want you to stay chained to my concepts. This book is a Skinnygirl collection of ideas about how to stock your kitchen the same way you stock your closet, how to think like a chef, and how to make simple meals you can whip up on the go without feeling like you’ve compromised your healthy perspective or your budget. I’ll tell you all about my own kitchen, my must-have basics, the equipment I consider essential, and the things I really don’t think you need at all. I don’t spend a ton of money on food, and why should you? Good food doesn’t have to cost a lot, take a lot of time to make, or contain ingredients that are impossible to find. Frankly, I shop more often at Costco and Trader Joe’s than I shop at any expensive gourmet markets. I’ve organized this book into three parts. Part One gives you the skinny—the basics you need to start feeling more confident in the kitchen, with or without a recipe. You’ll learn how to cook, how to use what you have, and how to think like a chef. You’ll get a peek into my kitchen, and I’ll tell you what basics to stock and how to shop. I’ll also share some of the cooking mistakes I’ve made in the past and how to avoid them. Part Two is divided into six categories: breakfast, lunch, dinner, snacks, drinks (which include cocktails), and desserts. This part of the book contains recipes, stories, and tips about what I made, why, and how you can make these things into what you want to eat, according to what you have on hand. Part Three consists of Skinnygirl Special Features, with chapters on entertaining (with recipes for amazing hors d’oeuvres), holidays, and recipes from some of my favorite chefs. By the end of this book, I hope you will feel filled with confidence that you can always make a great meal, a tasty snack, or a delicious dessert; that you can handle any special occasion with confidence and flair; and that you actually don’t mind getting up off that couch to make dinner. Because it’s not hard. It’s easy to cook like a Skinnygirl.